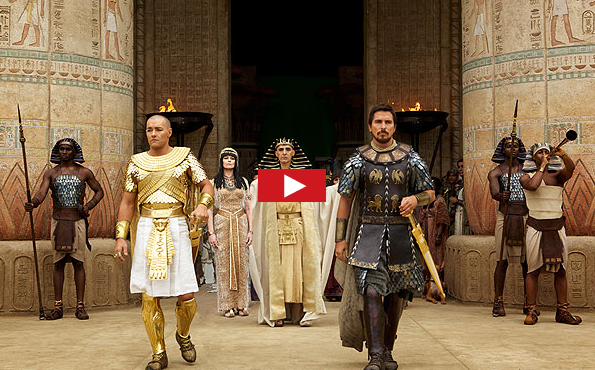 20th Century Fox, the official distributor of the upcoming biblical epic Exodus: Gods and Kings has released the first full trailer for the film. Shown in the trailer are key scenes featuring the main characters of Moses, Rhamses, Joshua and Seti. Directed by Ridley Scott from a screenplay penned by Steven Zaillian, Exodus: Gods and Kings is an interpretation of the events narrated in the Bible concerning the flight of the Israelites from Egypt. Moses is played by British actor Christian Bale and Rhamses is portrayed by Australian actor Joel Edgerton. Also in the cast are Aaron Paul, John Turturro, Ben Kingsley, Sigourney Weaver, Maria Valverde and Indira Varma.The movie is scheduled to be released in the United States on December 12, 2014.